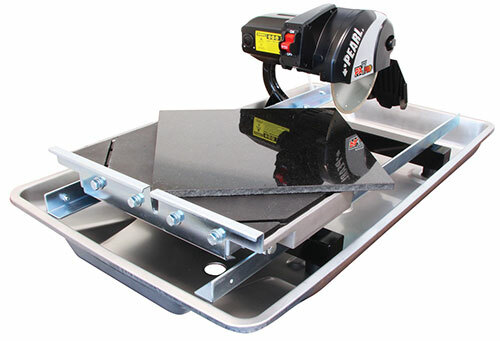 INCLUDED WITH SAW: Professional diamond blade, heavy duty stainless steel water tray (high durability tray for heavy-duty jobs), 45°/90° rip guide, universal wrench, water pump, Owner’s manual. CUTTING = Depth of cut: Max. 3-1/4"